Sean Hannity Unleashes on "Liberal Jacka$$" WaPo Writer For Saying "Kill Fox & Friends"
Fox News’ Sean Hannity has been hammering WaPo writer, Erik Wemple over his call to ‘kill Fox & Friends’ in an article he penned July 10th. 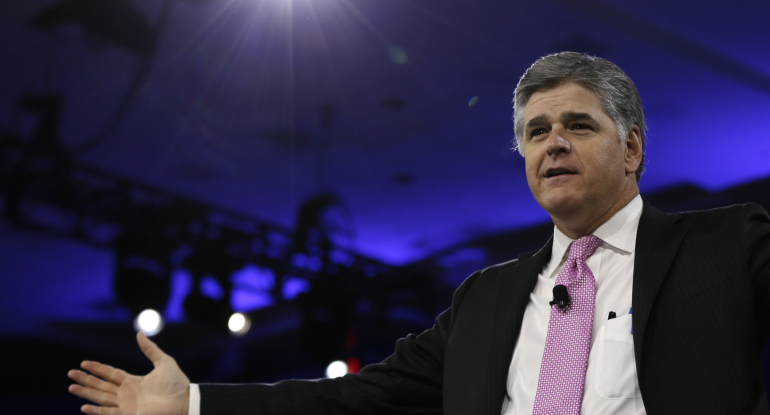 Hannity unleashed a tweetstorm on the Washington Post writer, calling him a disgrace. 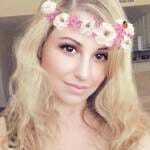 Left to its own devices, “Fox & Friends” could do far more damage, unless it’s killed. WaPo has a lot of nerve claiming Fox & Friends is doing damage after they are the ones who are being given classified information by a leaker(s) in the White House with top security clearance. 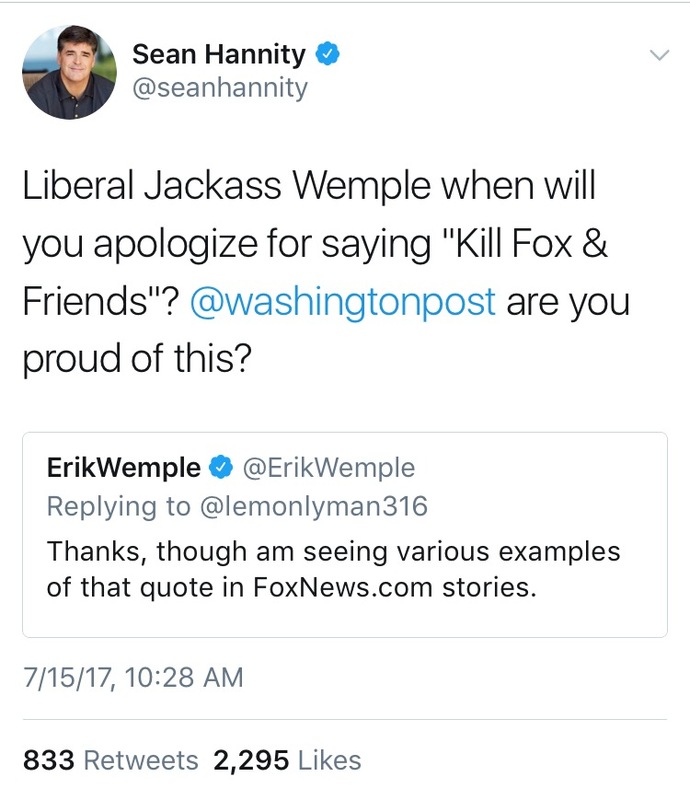 Hannity unleashed on the WaPo writer immediately after the article was published calling Wemple a disgrace.